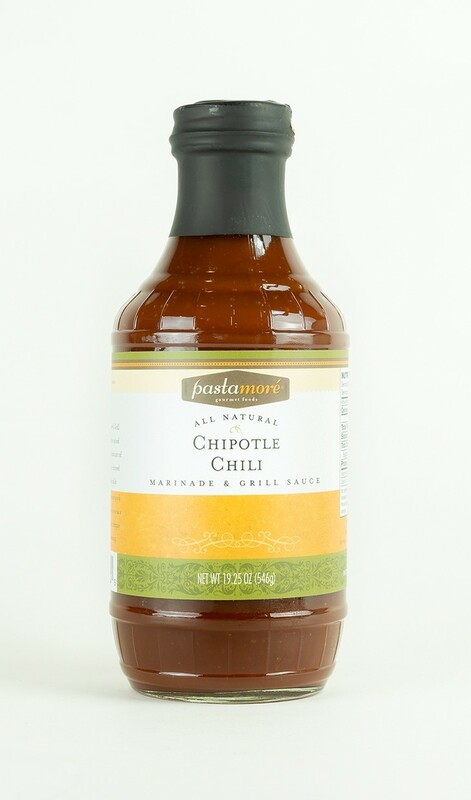 Our Chipotle Chili Marinade & Grill Sauce is a full-flavored medium-spiced grilling sauce with just the right amount of spice and infused with the rich, charred flavor of the smoked jalapeño chile. This sauce is is wonderful with tender pork ribs, barbecued rib eye steaks or alone as a condiment. Use as a marinade or simply brush on while grilling or roasting. Not a significant source of saturated fat, trans fat, cholesterol, dietary fiber, calcium and iron.